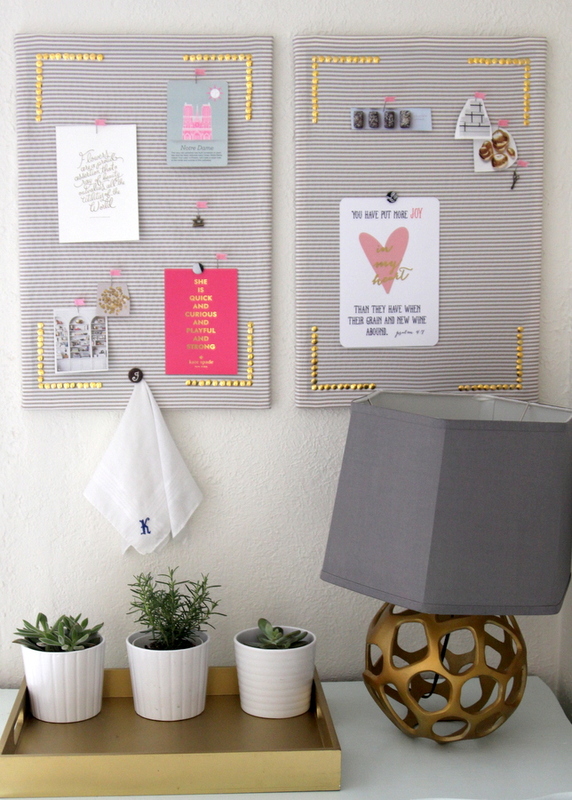 I’ve been finishing up my office these last few weeks and was so excited to add inspiration boards. 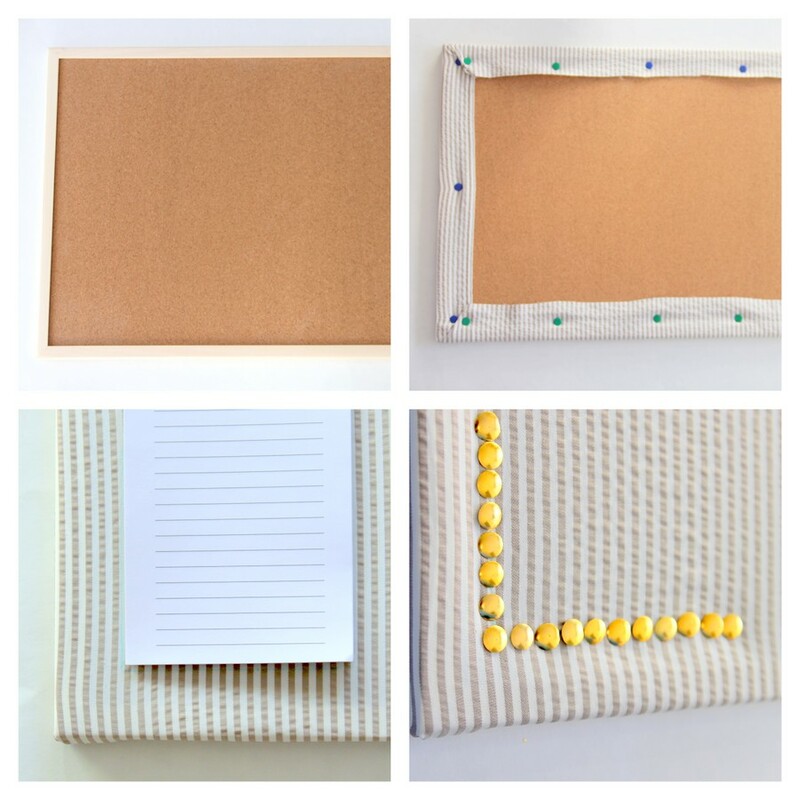 Even better, since I used fabric and bulletin boards that I had on hand, I made these for free! First I wrapped the boards in fabric, securing each side in place with push pins on the back side of the board. Then, for a little corner detail, I placed a notebook as a guideline in each corner and added lines of gold push pins. Even with my great love of pinterest, I still am a cut-things-from-magazines kind of girl, so it’s great to have a spot to hang my current must-try projects (I also still have an actual planner as well for pen-and-paper to do list making). How about you? 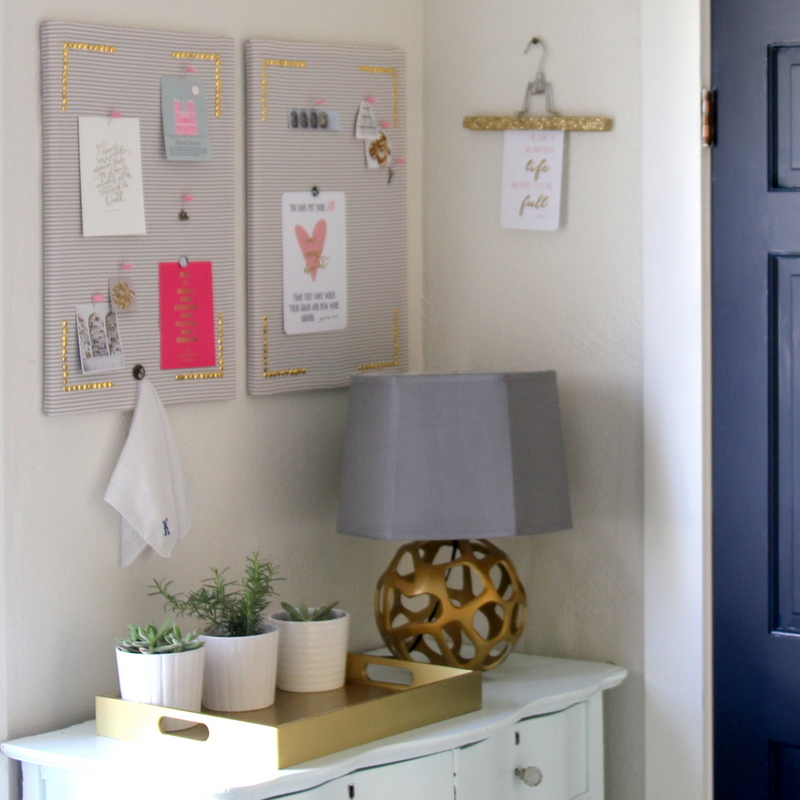 Do you have an inspiration board (or a planner)? Or have you switched over to pinterest (etc.) for cataloging? I love this! 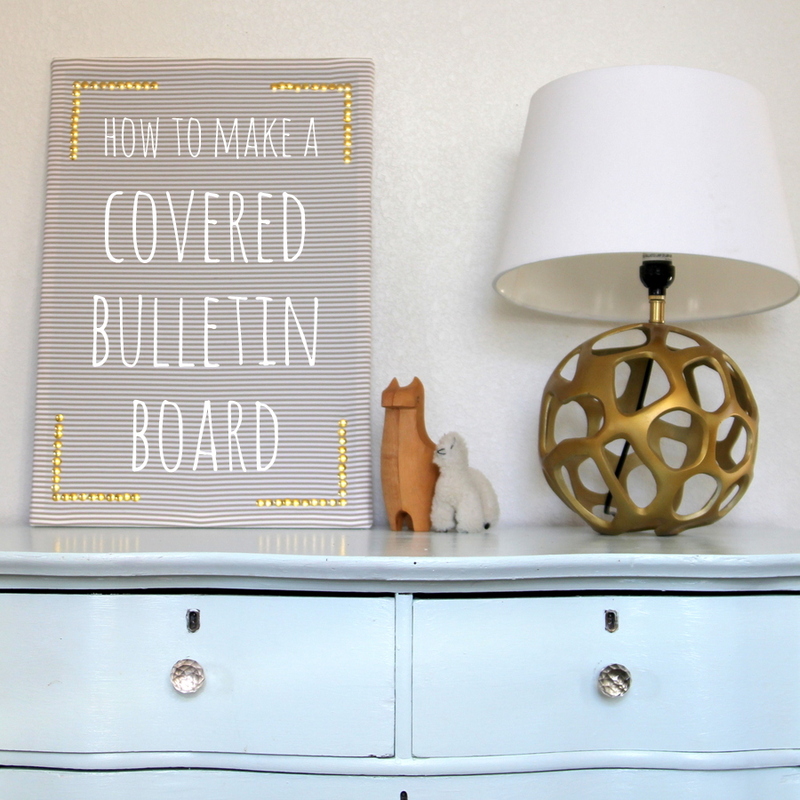 I’m needing a bulletin board I. My craft clots but hadn’t found the right thing yet. My board isn’t really filled with inspiration, but I’m constantly needing a place to pin up zipper color guides from my favorite shop, small pattern pieces, and notes about how I made something or how to price it. I can’t wait to see your finished space!